Earlier this week, My Nintendo updated with some new wallpapers related to Mario and Snipperclips, expanding on the new smart device and PC rewards category. 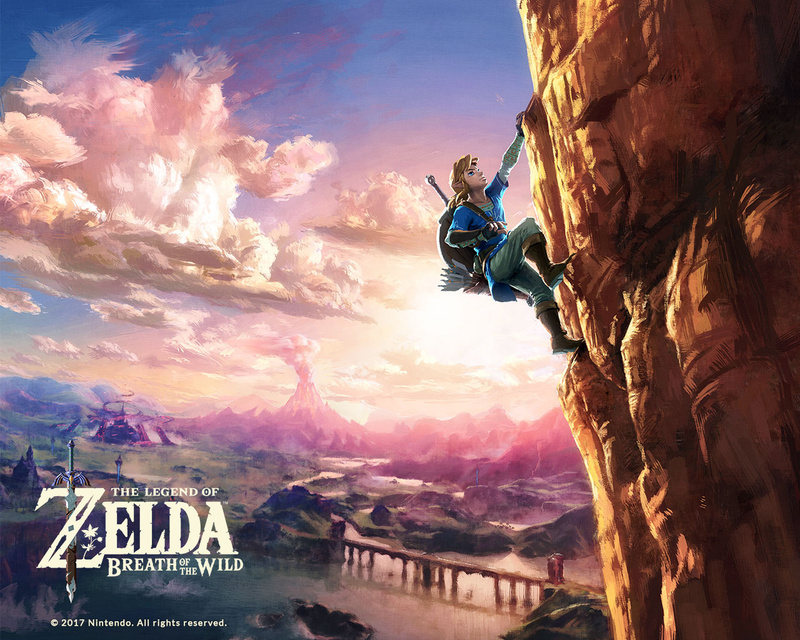 It seems that this will likely become a trend moving forward, as a new The Legend of Zelda: Breath of the Wild wallpaper is up for grabs now. The wallpaper is the same price as the others—50 Platinum Coins—and comes in eight different size configurations and resolutions depending upon the device you'd like to use it for. You can download these as many times as you like, too, so go crazy. What do you think? Will you get this? When do you think Switch rewards will show up on My Nintendo? Drop us a comment in the section below. Just waiting for the Switch rewards to pop up. At least we know they're "coming soon". But... We can download the wallpaper right from this webpage! Why should I spend my coins on this?! "What do you think? Will you get this?" Yes, that and a pink dancing elephant. I would really like to spend 50 platinum points per question during some Q&A workshop session with the creative-dreamteam behind these rewards. Hopefully they will soon add some polyphonic ringtones for my Nokia too. Didnt check the sizes, but I assume they are adjusted for Windows 98 users? Just missing the 100 Platinum coins reward - watching Nintendo switch commercials on youtube. I like the Switch cube advertisement, it's cool. @Yoshi Spoiler: It's going to be a bunch of 30% discounts on a whole lot of nothing. I don't need to spend points on it since the scribe just embedded it in the article. How about offering a Zelda theme for the Switch instead? 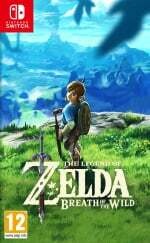 Already got my Zelda wallpaper for FREE, using a google search a few months back. I would like this as background screen saver on the Switch. Come on Nintendo black and white are not much of a selection. They are really, really trying to make this service look even more useless than before. And by god, they are doing a fine job. What happened to the DS emulations for 1000 Platinum coins? Not available on the European site, I thought My Nintendo wasn't supposed to be region specific? @Yoshi what do you think they will be discounts on current games, I doubt it. It'll most likely be themes and pictures to download. Not yet available for France ! Another wallpaper? What's next? Polyphonic ringtones? ...Oh, exuse me, monophonic. We aren't that far yet. @Bunkerneath It is region specific. Different discounts and software are shown. We STILL haven't had any new rewards in Japan since sometime around the beginning of January. and in other news.... SPLATOON GLOBAL TESTFIRE CAN BE DOWNLOADED (not played) NOW IN JAPANESE ESHOP!!! coming soon to other places, i dunno. Something kind of lame. I don't need Nintendo to make a great Zelda wallpaper. What a surprise, an article posted by Mitch Vogel applies to North America only, but doesn't bother to mention that. Can we add who the writer of each article is on the homepage, before we click on the article, so I know which articles I don't need to bother reading? I hope that they eventually put Switch themes on My Nintendo. If so I know where all of my coins are going. I'd much rather have physical items as before. Anyone else remember the Nintendo VIP 24:7 days? You'd register a game and in addition to points get a load of free wallpapers, icons and sometimes MP3s. @mookysam I remember! Nintendo VIP 24:7 was amazing. Really great rewards for your stars, too. Club Nintendo was already a bit of a step down from that, but was still great. My Nintendo isn't even worthy of standing in the shadow of VIP 24:7 and Club Nintendo. I right clicked the image and it asked if I want to save image on my PC. Guess I hacked their rewards and found an exploit. Might as well get them since I have Platinum Coins expiring this month and there's nothing else to spend them on. Wasn't VIP 24:7 also called "My Nintendo"? I believe that was the first rewards program and ran from about 2002/2003 to maybe 2006/2007. That's what I initially liked about this new rewards program, back in March 2016. It used an old name from the GameCube era, which I really like. Unless we're on different topics entirely, but I apologize if all I'm recalling is My Nintendo. This can easily be grabbed off of the web for NO coins, but I'll spend the 50 just to get a phone wallpaper. Edit: And if backgrounds come to the Switch, this wouldn't be a bad investment. I've always liked this piece of art. I guess getting basically anything that costs money at all from My Nintendo is out of the question. I still remember the statues and controllers Club Nintendo gave away. That digressed to digital only retro games. Which is better than the territory we've entered now. I got a BOTW wallpaper free from a google search that smashes this one. Oh well, back to Zelda. Got the master sword yesterday. Oh, I was thinking this was the first new Switch theme. Never mind then. CJ: Aww ****. Here we go again. @ironside1911 You mean, let me understand this cause, ya know maybe it's me, I'm a little messed up maybe, but I'm funny how, I mean funny like I'm a clown, I amuse you? I make you laugh, I'm here to amuse you? What do you mean funny, funny how? How am I funny? @fastharryDOTcom Watching Goodfellas on a loop? .... good movie, but I dont think anyone got the joke around here. I want an official wallpaper of that picture that's on the front of the box in NA. Link standing on a cliff, surveying the cloudy mountains of Hyrule, with the castle looming ominously in the background. Probably my all-time favorite video game cover, to be honest. @ironside1911 you got it..that's all that counts....have a great day! Wallpapers is a good idea, but this one Nintendo released for free already during last year to internet. And it's not available in the European My Nintendo.